Always innovating, the 2015 Taurus has systems and features that are designed to help you enjoy your driving experience even more. They help you relax. Even revive. Leather-trimmed, power front seats in Limited, when equipped with Active Motion,®¹ can massage your lower back, upper leg area and change the contour of your seat – helping you stay alert. Add the convenience of front-seat cooling¹ and you may not want to leave. 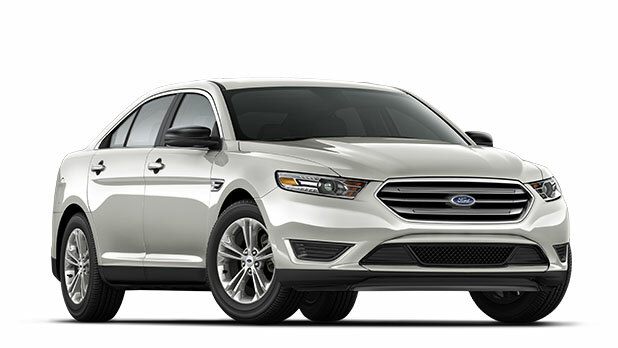 With luxury sedan fit and finish, as well as the latest technological advancements, Taurus satisfies your driving needs – whether you’re gripping the stylish steering wheel or loading the massive trunk with up to 569 liters of gear. Speak your mind. Then marvel as voice-activated Ford SYNC®¹ delivers hands-free calls, music and more in response to simple voice commands. Once paired, it can download your contacts and play music from your phone, MP3, USB or iPod.® Just touch a button on the steering wheel and say things like “Call: Ahmed” or “Play playlist: Favorites. ¹Driving while distracted can result in loss of vehicle control. Only use mobile phones and other devices, even with voice commands, when it is safe to do so. Not all features are compatible with all phones. iPod is a trademark of Apple Inc., registered in the U.S. and other countries. Microsoft is a registered trademark of Microsoft Corporation. The Lane-Keeping System¹ alerts you if it detects Taurus drifting toward a lane marker. If you continue to drift, Taurus sends vibration pulses to the steering wheel, prompting you to steer back toward center.